One of the brightest players in the men’s tennis, Alexander Zverev is yet to progress beyond the quarter-finals at a Grand Slam. World No 4, Zverev was comprehensively beaten by Canada’s Milos Raonic in the fourth round of Australian Open which is yet another reminder that he still has lots to work on if he has to break through at grand slam level. “I want to be the best. 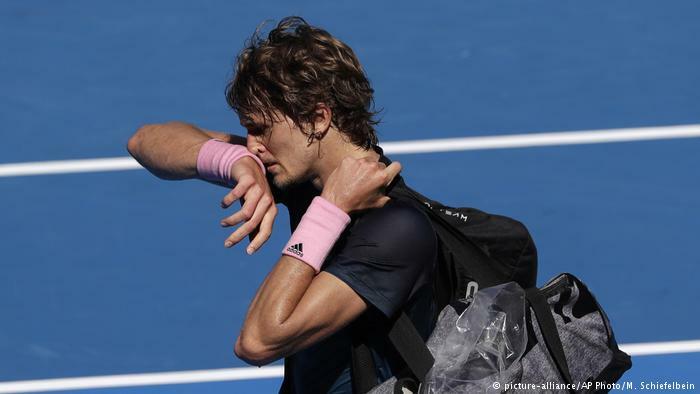 But I am not this week”, Zverev said. It is a frustrating situation for the 21-year-old who has climbed to the fourth position in the world on the back of 10 titles including four wins in 2018, most notable the ATP finals where he defeated Novak Djokovic. After breaking serve in the opening game of the match, he lost 12 of the next 13 games and showed his frustration and disappointment by destroying his racquet after going 4-1 down in the second set, smashing it on the ground nine times. Last year he had a similar meltdown during his Australian open third round loss to South Korean Chung Hyeon. ”I was very angry, so I let my anger out. It made me feel better”, he said recalling the incident of racquet smashing.